Wynonna Judd will be the guest star aboard the Santa Train, an annual 110-mile journey through the Appalachia, where volunteers from CSX, Food City and Kingsport Chamber of Commerce in Kingsport, Tennessee, will donate 15 tons of food, clothes, and toys to children in Virginia, Kentucky and Tennessee. Wynona, who is familiar with many charitable foundations because her mother Naomi Judd was a former guest on the Santa Train in 2005, is looking forward to visiting her hometown of Ashland, Kentucky as well as reaching out to the unfortunate residents of her native land. “Sharing the joy of the season with children who grew up just like I did is something that I am so privileged to have the opportunity to do,” Wynonna said. Other country western artists who have dedicated their time to this event in the past have been Patty Loveless, Alison Krauss, Travis Tritt and Kathy Mattea. 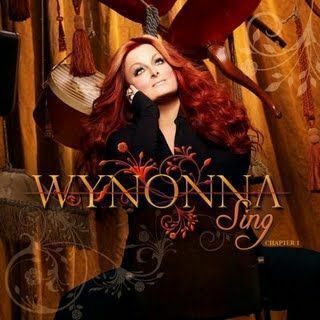 In celebration of Wynonna’s seventh studio album, “Sing Chapter 1” she commemorates 25 years of her ambitious journey by exposing the groundbreaking influences behind her awe-inspiring lyrics. The Santa Train is sponsored by CSX based in Jacksonville, Florida, one of the nation’s leading transportation companies which advocates distinguished and efficient rail services for all their passengers. This Santa train, which will utilize the Clinchfield railway tracks, departs on November 21 will make 14 stops through Kentucky, Virginia and Tennessee. Director of special events for CSX, Tori Kaplan, feels Wynonna will be a dynamic addition to this year’s Santa Train. “We know she will just brighten everyone’s spirits in these tough economic times, said Tori. This service initially began as a way of showing gratitude to their devoted patrons. But now the train accepts physical and monetary donations, which include new clothes and toys. Financial aid from the public has also helped establish the “Santa Train Scholarship” for students who live along the train’s route. Food City and the Kingpost Chamber of Commerce are also assisting in this charitable event. Food City, an independent grocery store in the area, has a reputation for its continual involvement in the community through various charity works. This food chain recently participated in the Apples for Students program in which the company donated over 11 million dollars in equipment to the Appalachian School system. On the day of this event, the volunteers of Food City will begin their 11 hour preparation and place packages in order for their departure. The Kingsport Chamber of Commerce is another vital asset to this colossal event. Their mission has always been to utilize resources and focus efforts on enhancing a strong and viable business environment for the Kingsport area. This non-profit business organization is comprised of nearly 1,000 members and has been accredited by the U.S Chamber of Commerce for over 25 years. Miles Burdine, president of the Kingsport Chamber of Commerce, is very grateful for the annual Santa Train and also feels Wynonna’s humble countenance will be an attribute to the event. Prev Article Prev Article “The Island of Mystery” …. my perfect runaway.